Got a wrinkle in your revenue? Botox can fill that in too. As the costs of running a successful medical practice continue to skyrocket, many physicians keep an eye out for products and procedures that can simultaneously help patients and boost profits. The manufacturers of Botox wanted to inform doctors and nurses that integrating the sales of Botox into a medical practice can expand services to existing patients, attract new patients and create an entirely new revenue stream. 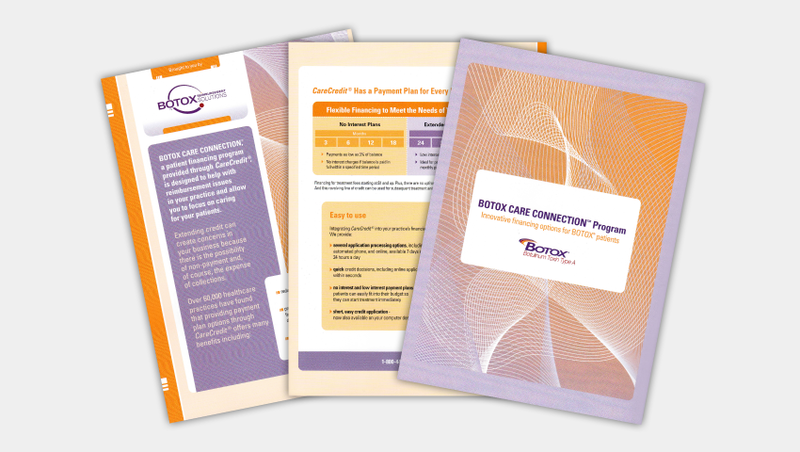 This healthcare marketing campaign was supported with a broad spectrum of promotional materials including folders, direct mail, brochures and table tents.